The latest model of Time Timer: the modern designed Time Timer MOD. 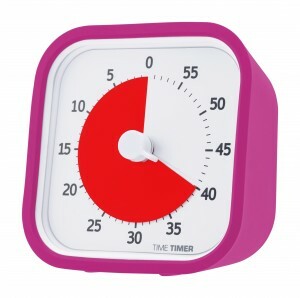 This Time Timer has a unique removable latex-free case protecting the Time Timer. The well-known red disk is protected under a clear lens. Due to its compact size the Time Timer MOD is very suitable for traveling and easy to use at school, home and work. The silent operation and on/off alert makes it perfect for sound-sensitive environments. The centre dial makes ensures easy setting of the disk. The Time Timer MOD has a closed battery compartment at the rear. 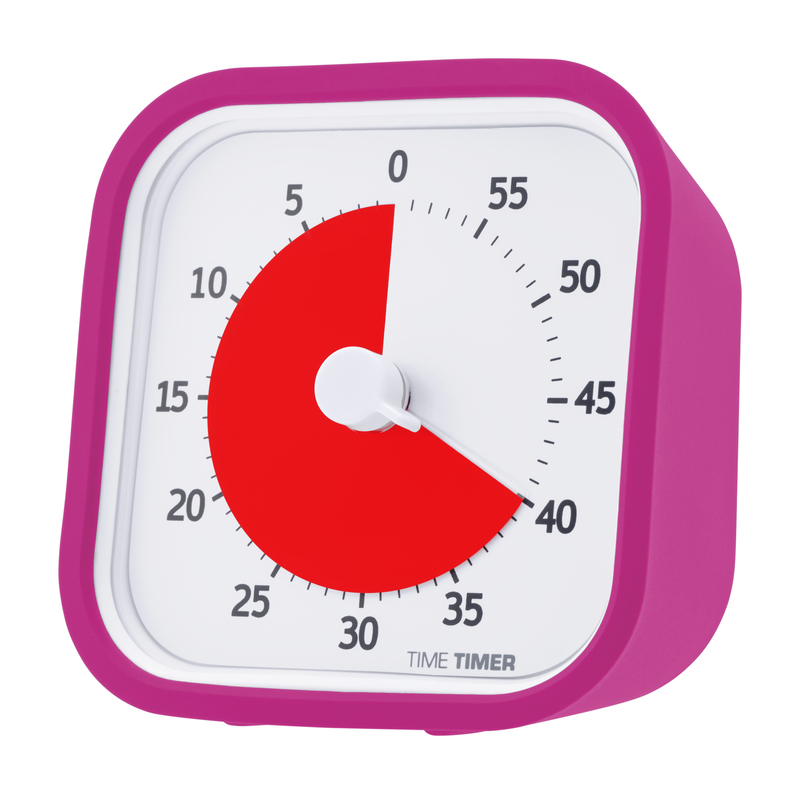 The Time Timer MOD comes complete with a charcoal coloured silicone case. Do you prefer a different colour? 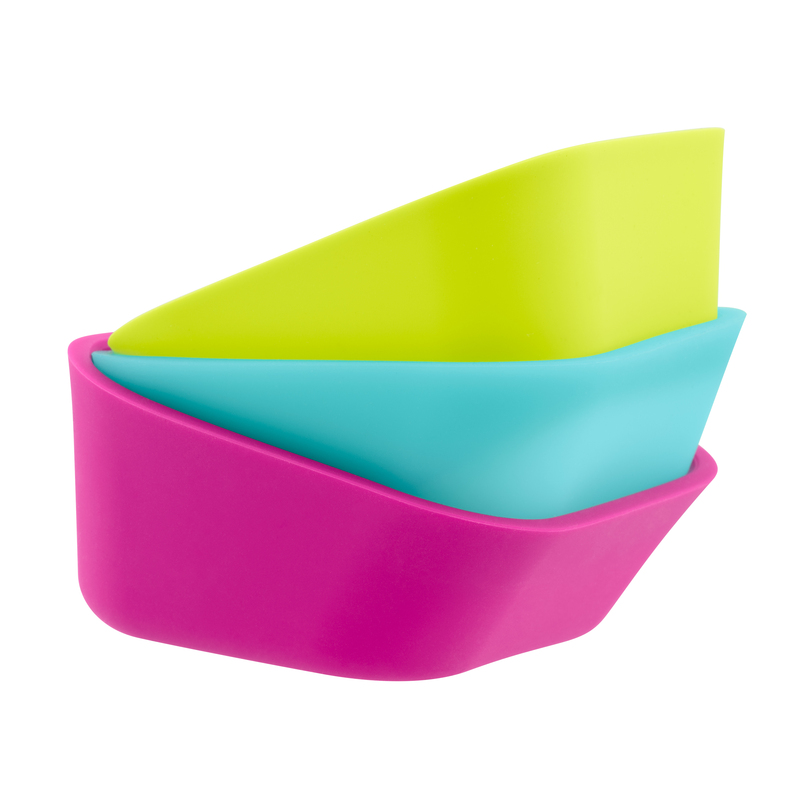 The original charcoal case can easily be changed into a brightly coloured one. 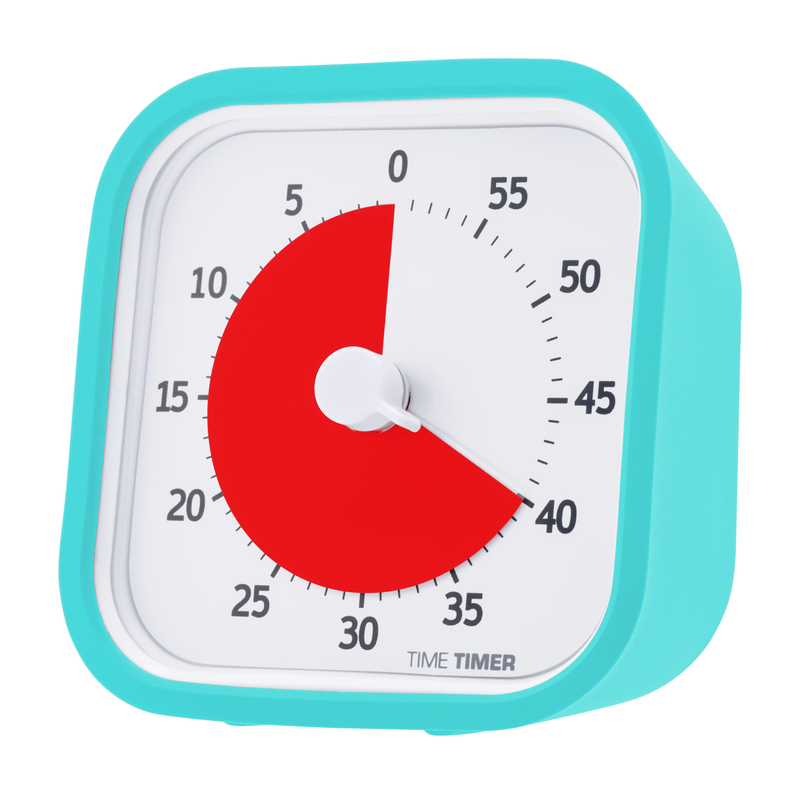 Keeping your kitchen cooking and baking on track, and unburned! Your bag—busy professionals who travel from one location to another to work with clients, parents or other meetings can easily take the MOD along to stay on track. The coloured case is sold separately as an accessory and is available in 3 colours: berry, turquoise blue and lime green. The Time Timer MOD requires 1 AA battery (not included). 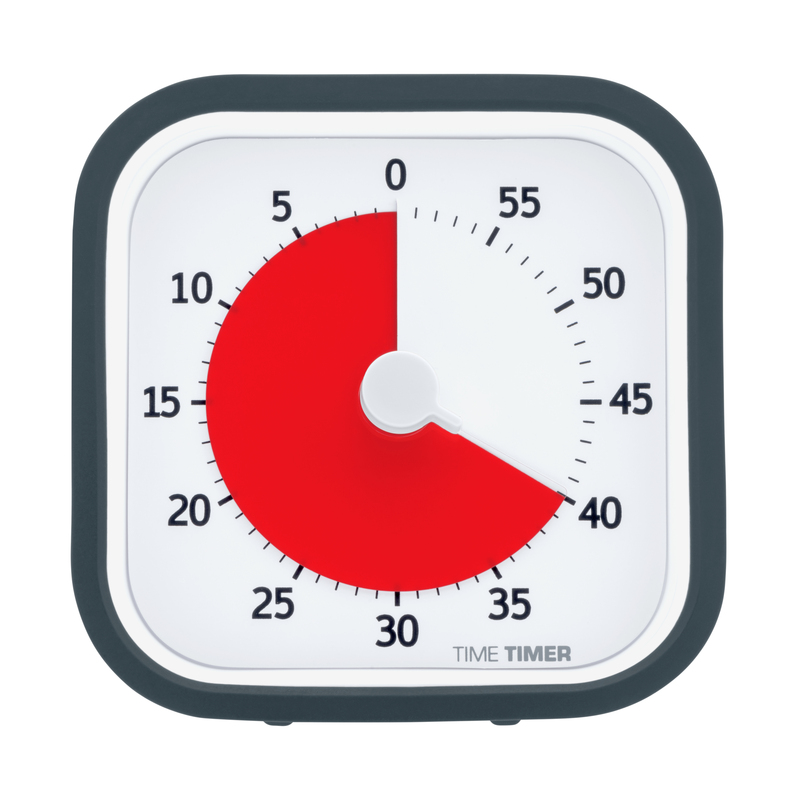 Time Timer Desktop Software – NEW! !